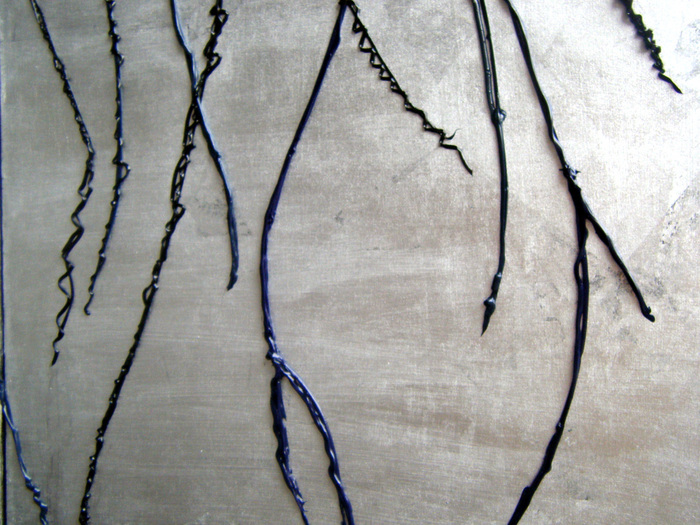 This multimedia work is based on the weeping willows in Cheonan, South Korea. 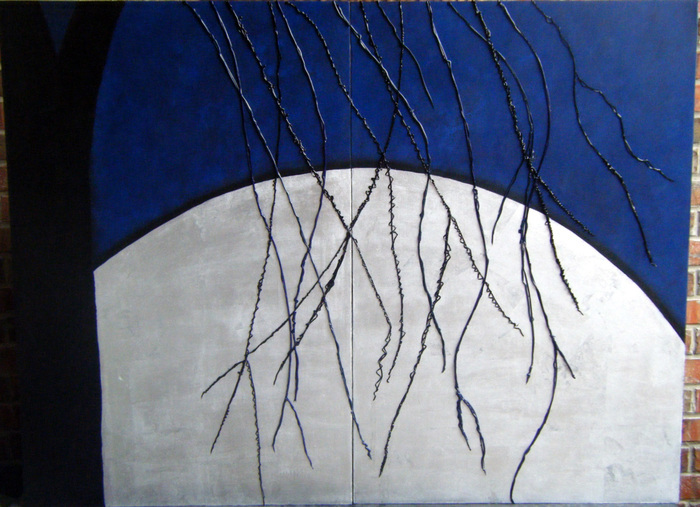 The legend of these beautiful trees tells of a father and daughter who were separated and many years later were reunited under their lovely branches. 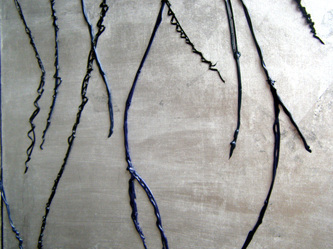 In a country often burdened by wars and foreign occupation, willow branches represent a promise to one's family that you will be together again. 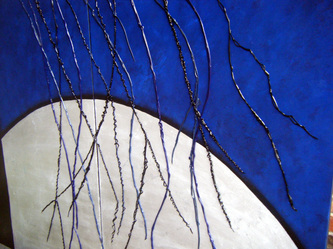 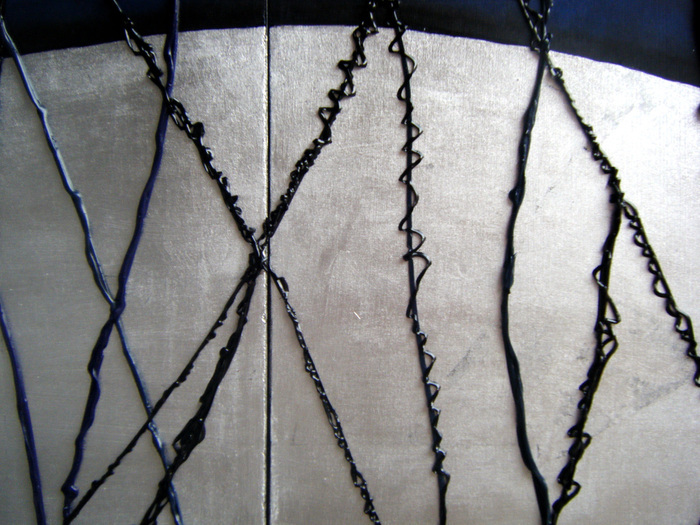 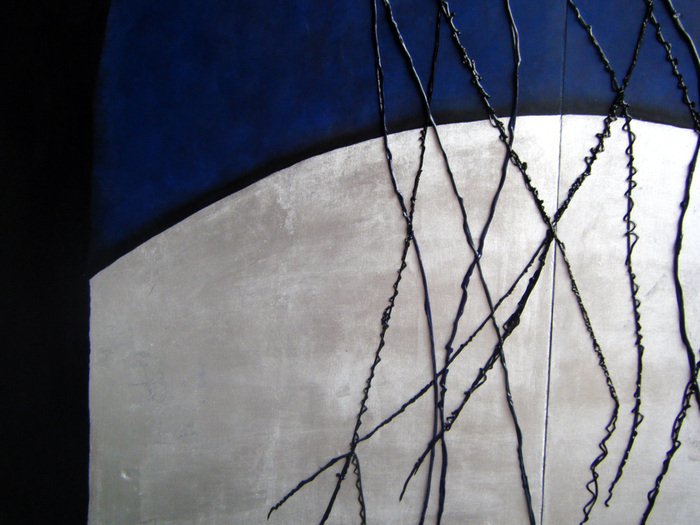 "Willow", 2010; silver leaf and acrylic on MDF panels; 36"x48"